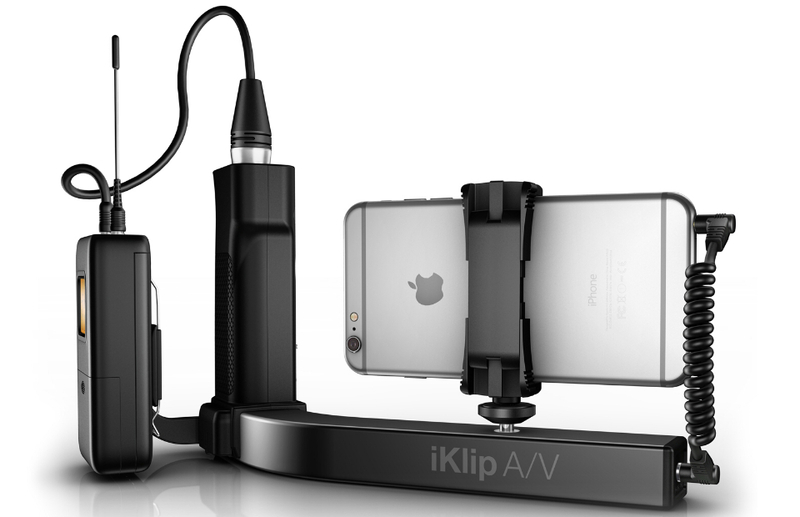 IK Multimedia’s rig transforms your smartphone into serious pro video gear. 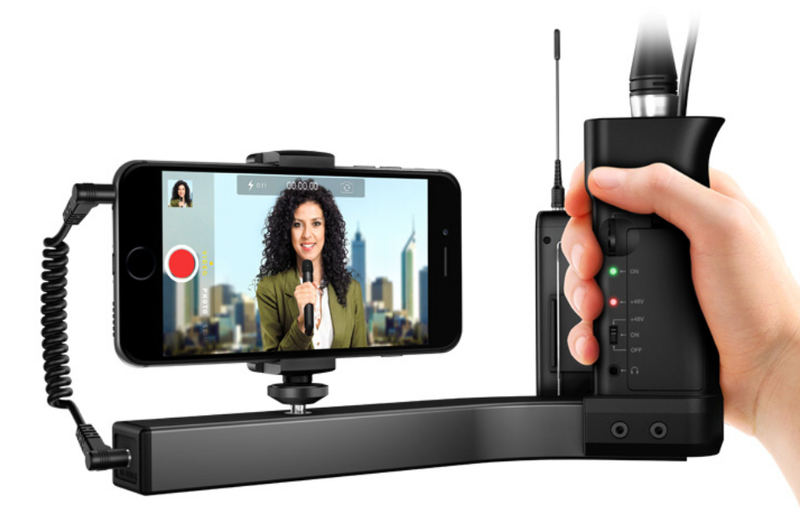 It provides a rock solid grip, adds an XLR mic pre-amp, a wireless receiver bracket, phantom power for high-end microphones, and headphone monitoring. 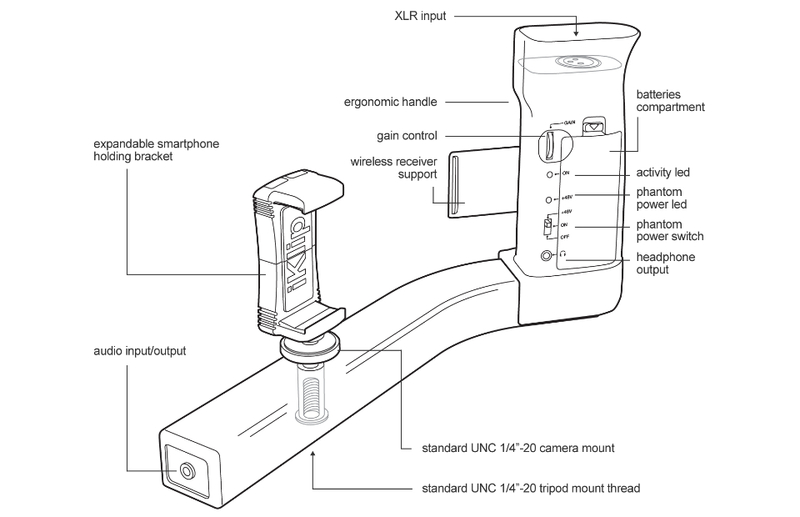 Holds devices with 3.5″ to 6″ screens.